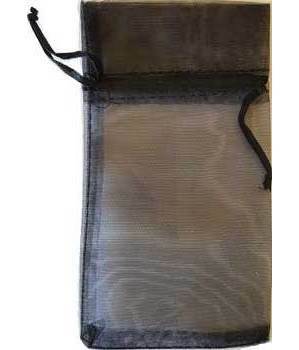 A shimmering black organza pouch with drawstring. Silk, Cotton. this bag is perfect for small treasures and money magic spells, or gifts. Usable cinch corded area. 3"x4".